Let's see this week...Monday I had my normal basketball workout from 10:30-1:00 since we didn't have school because our faculty had a retreat. That evening, I went to the WCAC championship between DeMatha and St. John's. It was a live and exciting atmosphere in the championship game. St. John's ended up winning 71-57. On Tuesday I went to strength and conditioning and did upper body with Tobe. Wednesday I went to strength and conditioning but focused on lower body. Thursday we had TTO practice and Friday I went to basketball workouts after school. This week I have to give a big S/O to my A1 since day 1 my family! My mother, dad, grandmother and sister have helped me where I am today. My mom, Melanie, has helped me with school, basketball and off the court issues. She has always been pushing me in the class room more than anything and always telling me that life is bigger than basketball. Having an education will help you succeed in life period if basketball doesn't workout and she always stresses that to me. My lil sister , Mikayla , supports me in everything and pushes me at everything I do even if I don't feel like doing it. My grandmother , Ce-Ma (my nickname for her), helps me stay close to God. We read bible versus together and we pray together. She always wishes me luck before my games, which I think makes me play better. In all, these 3 will always be the #1 ladies in my life and support me the most. Now my father, Big T (nickname for him), is the life of the family. He brings laughter and playfulness to the family. He always likes to joke around with me but we also can be serious. He has pushed me on the court to the maximum and pushes me off the court like my mother does. He also stresses the education part in life. This weekend we celebrated his birthday, since it's on Monday. We went out to dinner and bought him some gifts. In closing, my family has helped me become the person I am today and I thank them for this. Family comes before basketball and I always remember that. Talk to you next week in my next entree. Peace! Trenton Middle School Championship Recap: Joyce Kilmer Earns The Trophy! Shaun Balkcom scored 10 points and Tylik Neal added 8 markers as Joyce Kilmer exploded in the second half to defeat Rivera Middle School 36-18 to win the Trenton Public Schools Middle School championship. Here are the top performers from the event. Shaun Balkcum Forward (Joyce Kilmer)- Balkcum came alive in the second half by establishing post position and scoring close to the cup. He wasn’t on fire like he was in the semi-finals but still managed to lead the team in scoring. 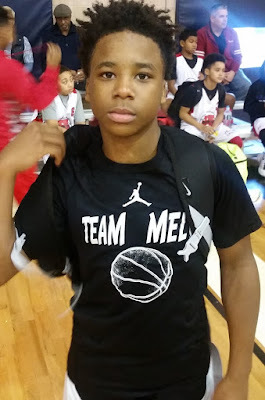 Tylik Neal Guard (Joyce Kilmer)- The pint size point guard plays the game with much heart and poise. He ran the team well and was able to score a couple of buckets himself. He should fit in well with Trenton’s running style when he reaches high school. Rajohn Craig Guard (Joyce Kilmer)- It was another solid outing for the southpaw shooting guard. Even when he shots didn’t fall they still looked good when he released it. He has a natural feel to score the rock. Ethan Garita Forward (Rivera)- Garita is very raw but has good size and plays the a high motor. He’s willing to crash the glass and block shots in his area. Offensively he has a ways to go but he seems like a hard worker. Daquan McNeil Guard (Rivera)- McNeil pushed the rock up the floor in a hurry and made some good plays when he was under control. He has some good instincts but needs to change speeds a little better and better decisions passing the rock. Jaheem Lewis Forward (Rivera)- The ball didn’t fall much for Lewis but I liked his size and skill set he showed on the floor. He knows his way around the court and has a nice touch on his shot. I think he has a productive upside. The Teach Me Classic League concluded Sunday with their championships. Basketball Spotlight provided the coverage and Primetime Sports was on hand for the video coverage. They gave us an inside look into this event while talking to the players, coaches and contributors to this event. 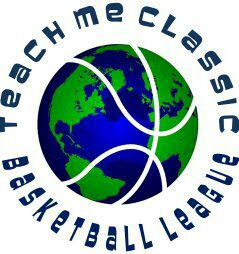 Congratulations to the Teach Me Classic staff and sponsors for another successful season. 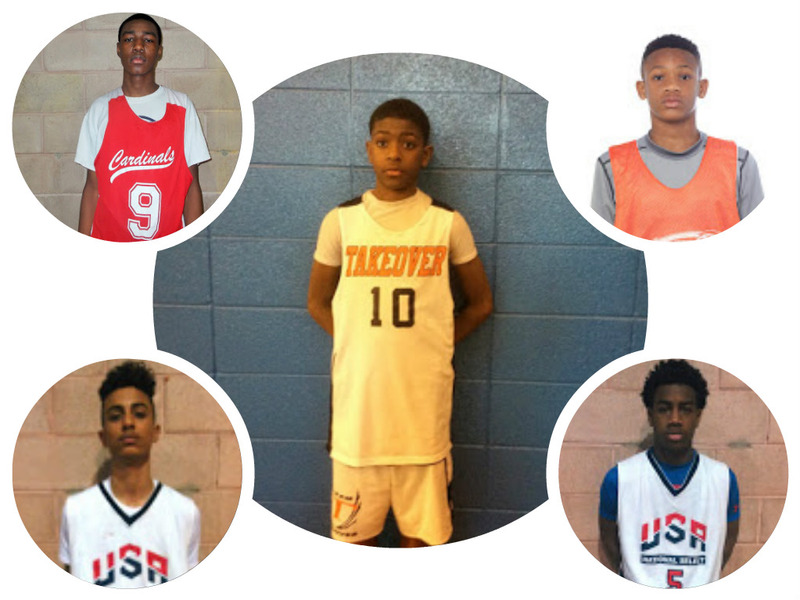 The Basketball Spotlight 8th Grade Top 10 Rankings are listed below. These rankings are based on our opinion and should be taken as such. 1. Team Takeover (Black): TTO showed they are truly the #1 team in the region and maybe the country after running through the Clash. They have the pieces to no lose a game all season. 2. New Heights: NH didn’t make the Clash but have the crew to win the AC Showcase in a couple of weeks. I’m anxious to see this squad in action again. 3. B’More United Thrill: Thrill made it to the finals of the Clash. They have a complete unit and are capable of winning any event. 4. Team Final: TF made a final four run during the Clash. They are one of the early favorites for the AC Showcase. 5. Gauchos: The Choz came through the Clash and made it to the semi-finals. I like the intensity they bring on the court. 6. 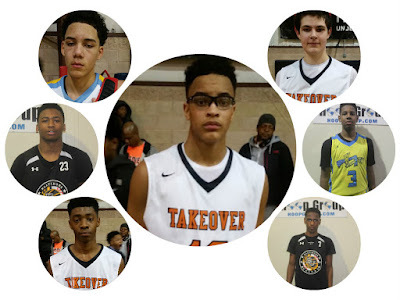 Team Takeover (Orange): This group came into the Clash and made a splash. They made it to the final four and let everyone know they was legit. 7. NJ Playaz: The Playaz had an early exit from the Clash. I think they will rebound soon and comeback with a vengeance. 8. NY Rens: The Rens have a stacked roster and have shown better in regional play. They might make an appearance at the AC Showcase. 9. Brooklyn Rens: This hungry group has the guard play to make a deep run in the AC Showcase. They are a squad that a lot of teams don’t want to see. 10. NY Lightning: The talented Lightning will be making their Spotlight debut at the AC Showcase. We look forward to seeing this squad and their top rated players. The Basketball Spotlight 7th Grade Top 10 Rankings are listed below. These rankings are based on our opinion and should be taken as such. 1. Team IZOD: Sports U didn’t come to the Clash but did put in work at the Elevate league. They have one of the most loaded squads in the country. They will be at the Atlantic City Showcase. 2. Team Takeover: TTO came to the Clash and took home the title. They have a well-balanced squad and want a shot at the #1 spot. Maybe they will head to the AC Showcase to collide with Team IZOD. 3. B’More United Thrill: Thrill made it to the finals of the Clash while pushing TTO to the limit. Hopefully we will get another look at this group before the circuit ends. 4. Philly Triple Threat: PTT didn’t make the trip to the Clash. I know we will be seeing them again real soon. 5. PSA Cardinals: The Cardinals lost in the quarterfinals at the Clash. They are a hungry group that can cause havoc at the Atlantic City Showcase. 6. New World Unlimited: NWU made a final four run at their first Spotlight appearance this season. Their guard play makes them a dangerous group. 7. National Select: The All Star group came in the Clash with a buzz and made it to the semi-finals. They should have a chance to move up after the AC Showcase. 8. Team Final: TF got knocked out during the quarterfinals of the Clash. We will probably see them again during the MDC. 9. Gauchos: The Choz fought hard at the Clash before falling in the quarterfinals. They can get buckets in a hurry. Hopefully we will see them in AC. 10. NY Rens: The NY Rens looked good winning the Teach Me Classic over the weekend. They are headed to the AC Showcase. The Basketball Spotlight 6th Grade Top 10 Rankings are listed below. These rankings are based on our opinion and should be taken as such. 1. Riverside Hawks: The Hawks got knocked off in the Clash For The Cup but I think their body of work still makes them the #1 squad for now. They will have a chance to capture another banner at the AC Showcase. 2. Team Melo: TM blazed through their first Spotlight appearance by winning the Clash For The Cup. They have enough talent to take another title if they travel down to America’s Playground. 3. 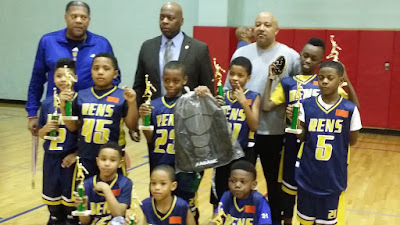 NY Rens: The Rens didn’t play in the Clash but just won the Teach Me Classic Championship. They are lock and loaded for the Atlantic City Showcase. 4. Team Rio National: Team Rio made its first appearance during the Clash made it to the finals. Don’t be surprised if they run the table at the AC Showcase. 5. 60 Elite: This North Jersey crew came close to reaching to the finals. They have some exciting young pieces and know we will see them again soon. 6. Gauchos: The Gauchos made it to the final four at the Clash. They are a very intriguing group and we look forward to them coming through the Spotlight again. 7. Team IZOD: This group is very talented and have the pieces to make an explosive run. They most likely will be making the trip down the AC Expressway. 8. NY Lightning: This bunch is very hungry and will be looking to make a mark very soon. I think they will make their next appearance during the MDC. 9. Hilltoppers Heat: I think this group will have a breakthrough during the Atlantic City Showcase. They have enough talent in their stable. 10. NJ Shore Shots: This group made their presence felt at the Clash For The Cup. They might open up even more during the AC Showcase. The Basketball Spotlight 5th Grade Top 10 is listed below. These rankings are just our opinion and should be taken as such. 1. Riverside Hawks: RH finished in the final four of the Clash For The Cup after losing to eventual champion CIA Bounce. But their overall body of work keeps them at the #1 spot. We will see them in action again at the AC Showcase. 2. CIA Bounce: The Canadian ran through the Clash For The Cup in an impressive fashion. Hopefully we will see them again at the AC Showcase or MDC. 3. Team IZOD: Sports U once again made it to the finals this time at the Clash. Maybe they can jump the hurdle at the AC Showcase. 4. B’More United Thrill: Thrill hit their stride while making a final four run at the Clash For The Cup. They have enough talented to win it all at a future event. 5. New Heights: NH has a talented bunch which can make a run at the top spot at any time. They will have a chance to run the table at the AC Showcase. 6. NY Rens: The Rens didn’t come to the Clash but did win the championship of the Teach Me Classic League. I like their pieces and look forward to seeing them at the AC Showcase. 7. Playtime Panthers: PP made a good push at the Clash For The Cup. They continue to be a squad in the thick of things. 8. NY Lightning: The Lightning made it to the quarterfinals of the Clash For The Cup. Next time we might see them will be the Memorial Day Classic. 9. New World: New World made a good run at the Clash For The Cup before losing in the quarterfinals. They also are headed to the AC Showcase. 10. 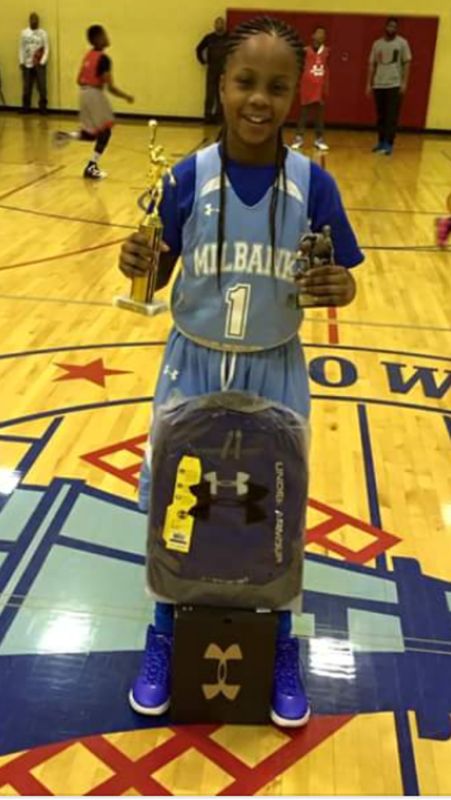 Milbank: “The Bank” impressed us with their championship appearance at the Teach Me Classic. We will see them at the Atlantic City Showcase. After destroying the middle school circuit in Ohio, Sonny Johnson took his talent to the NEO Elite Camp. Once again the talented 6th Grade point proved to be one of the best in the building. His feel for the game and command of his moves at a young age is very unique. He has the chance to be something special down the road. Teach Me Classic 4th Grade Championship Recap: Playtime Panthers Win Thriller! Braylin SanGeorgio hit a three pointer with 2 seconds left on the clock to give Playtime Panthers a 30-29 win over the NY Gauchos to win the Teach Me Classic 4th Grade Championship. We congratulate both teams for making it to the finals and look forward to seeing them at the AC Showcase. 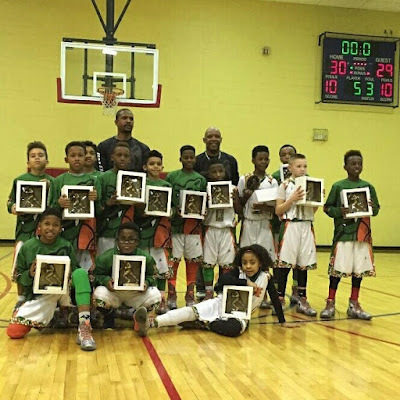 Teach Me Classic 3rd Grade Championship Recap: NY Rens Run To Title! The NY Rens took an early lead and never looked back as they defeated the Gauchos 32-23 to win the Teach Me Classic 3rd Grade Championship. 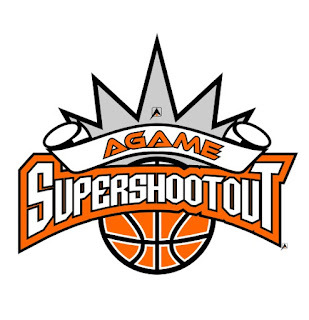 Congratulations to both teams for making to the finals and we look forward to seeing them at the Atlantic City Showcase. This week was kind of a slow week because it snowed again in the area. On Monday we didn't have school because it was President's Day, so I got a two a day in with basketball and strength and conditioning. On Tuesday, it snowed so we didn't have school and I couldn't get out of the house, but I went downstairs and worked out anyway. On Wednesday, I went to my team strength and conditioning workout with our trainer. We all worked on upper body that day. On Thursday, I went to basketball workouts with Coach Leslie and got a good workout for 2 hours. On Friday, I went to strength and conditioning and worked on my speed and agility since that's a big thing I need to work on. Saturday was a busy day. I started off my day with 8 am TTO practice. This practice was very intense from start to finish. From my practice, I went to my final interview with Georgetown Prep, which is a boarding high school in Rockville, Maryland. After that I went to my PYBL games. PYBL is a local DMV league where middle school players can play and showcase their talent to the area. I have played in the league since it first started in 2013. I played my last two regular season games in the PYBL on Saturday. Our first game was against Anne Arundel County where we won 77-48. Our next game was against Southern Maryland. We knew that they were a scrappy team and played hard, but we came out and won 83-50. It felt good ending my final PYBL season undefeated. On Sunday I took a day off. It's okay to work out a lot but you also need time to recover your body and rest it for the next week's workouts. I spent my off day watching the WCAC high school semifinals between St. John's vs Bishop McNamara and DeMatha vs Gonzaga. The championship game will be between DeMatha and St. John's. Until next week Basketball Spotlight Fam! 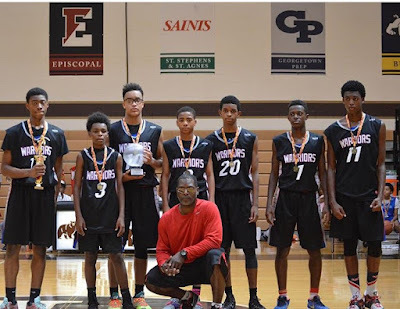 Teach Me Classic 8th Grade Championship Recap: Hilltoppers Heat Captures Championship! Hilltopper Heat exploded in the second half to defeat Playtime Panthers 52-38 to win the Teach Me Classic 8th Grade Championship. Here’s a look at the top performers that impressed us. Myles Ruth Guard (Hilltoppers Heat)- Ruth was dynamic from the outset. The ultra-quick guard blazed down the floor and did whatever he wanted with the rock. He got into the lane at will and finished effectively with either hand. I loved his body control and court vision also. He has to be regarded as one of the top point guards in Garden State. I expect him to catch fire very soon. Don’t sleep on this kid! Emmanuel Toha Guard (Hilltoppers Heat)- Toha is wired to score and knows how to do it well. Blessed with a strong frame Toha used body control to finish in traffic and excel in transition. He has good athleticism and the canning ability to get buckets. Once he got going he was one of the best finishers in the building. He’s a very explosive worker. Zayon Marsh Forward (Hilltoppers Heat)- Marsh is a lefty and proved to be a good contributor. He has the size to play defense on the post but offensively showed some flashes of going to the wing. He was able to run the floor and finish while also stroking the outside shot. Now he must work on his in between game and creating space off the bounce. Matthew Tracey Guard (Hilltoppers Heat)- Tracey was another strong scoring guard for the Heat. When he attacked the basket most defenders bounced off his body. Matt was strong enough to absorb that contact and finish. He was extremely tough to stop even in transition. DJ Simpson Guard (Playtime)- Simpson showed some ability to handle the rock with a little wiggle and knockdown the outside shot. He has a natural feel for the game but will need to increase his footspeed for the high school level. Chris Manon Guard (Playtime)- Manon did some things that caught our attention. He can handle the rock with some flair while seeing the floor and scoring the ball. The only time he got into trouble was when he tried to split the double teams. I like the explosion he showed when attacking the cup. John Kearney Guard (Playtime)- Kearney showed he could stroke the rock from deep. His sweet spot seemed to be in the corner where he was 2 for 3. He serves as a specialist for this squad. 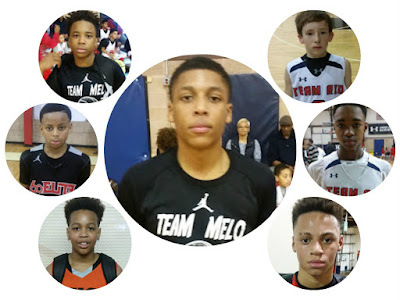 Teach Me Classic 7th Grade Championship Recap: NY Rens Rallies Back To Win Title! Lorenzo Washington led a big second half as the NY Rens came back to defeat NY Dragons 48-44 and win the Teach Me Classic 7th Grade Championship. Here are the top performers we saw during the 7th Grade finals. Lorenzo Washington Guard (NY Rens)- Washington came out shooting in the second half especially from three point range. He drained three straight triples to cut into the large lead. He showed good poise and accuracy when the game was on the line. He also stepped to the charity stripe and knocked down crucial free throws to seal the win. Tyreek Morris Guard (NY Rens)- Morris won league MVP and I can see how. The kid is enormous talent and upside. He has good bounce, size and can play multiple positions. I like how he creates off the bounce and will knock down the open jumper. He passes the look test and is nowhere near his ceiling. This kid can go. Marquis Dukes Guard (NY Dragons)- Dukes dominated this game in the first half. He put defenders on his hip and carried them to the bucket. He finished through contact and even showed the knack to drain the open shot. He definitely put his name on our radar and we will be keeping an eye out for this kid. Keyshawn Jones Guard (NY Dragons)- Jones wan another guard the caught our eye. He has good size and appears confident when handling the rock. He uses strength to finish off plays but can also make good passing decisions with the rock. I also like his outside stroke. Josh Hunter Guard (NY Dragons)- Hunter is the third guard in this three headed monster for the Dragons. He has a smooth approach and sees the floor well when he’s attacking. I like how he looked in transition and the way he delivered the rock. He can also score when needed. Teach Me Classic 5th Grade Championship Recap: NY Rens Cruise To Crown! In the Teach Me Classic 5th Grade championship the NY Rens used a blitzing style to run past Milbank 47-28. The NY Rens proved to be one of the top teams in the region. Basketball Spotlight would like to congratulate both teams for making it to the finals. 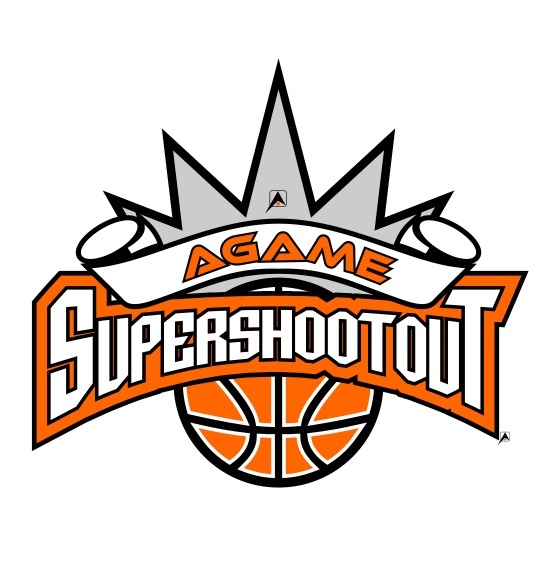 We look forward seeing both squads at the Atlantic City Showcase. The Trenton Middle Schools held their semifinals and Basketball Spotlight was in the building. The game of the day was Joyce Kilmer versus Hedgepeth Williams Middle School. Joyce Kilmer won 43-25. Here are the players that impressed us in our visit. Shaun Balkcom Forward (Joyce Kilmer)- Balkcom had a strong post presence and showed he had soft hands and a decent tough near the cup. He controlled the glass in terms of rebounding on both ends of the floor. His squad started out slow then Shaun put them on his back as he dominated the post. He finished the game with a 22 points. Rajohn Craig Guard (Joyce Kilmer)- Craig provided the perimeter scoring yesterday. He plays the game at his own pace while attacking with his southpaw style. He used his body well but will have to become more explosive as he gets older. Keyon Frink Forward (Joyce Kilmer)- Frink played the other big man role for Kilmer. He’s not as polished as Balkcom offensively but might have a good upside. He hit the weak side boards hard and was a force on the defensive end. Malik Walker Guard (Hedgepeth-Williams)- Walker was the best guard I saw in the building. The lead guard was responsible for scoring but also showed some point guard instincts. He used blazing speed to get into the lane and created opportunities to himself and teammates. He also showed range on his outside shot even though he has a low release. That should improve as he gets stronger. 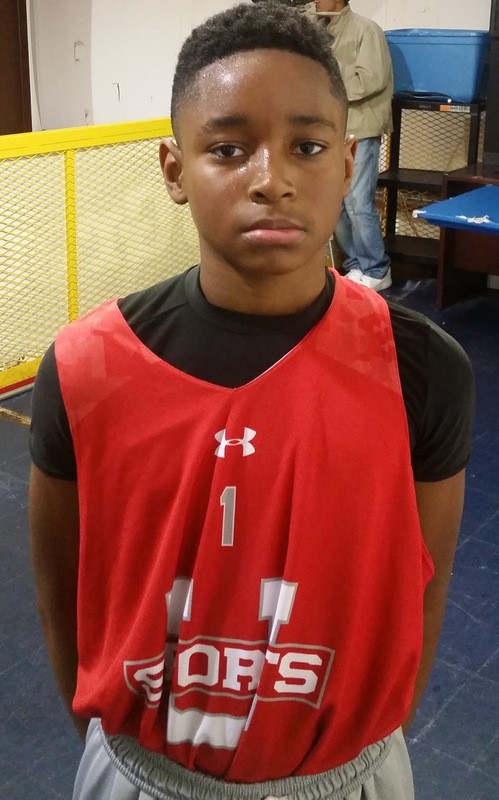 Davonne Wells Guard (Hedgepeth-Williams)- Wells is a 7th Grader but you can see potential in his game. He has good poise and seems to make good decisions with the rock. Once his confidence and strength improves his game will elevate. 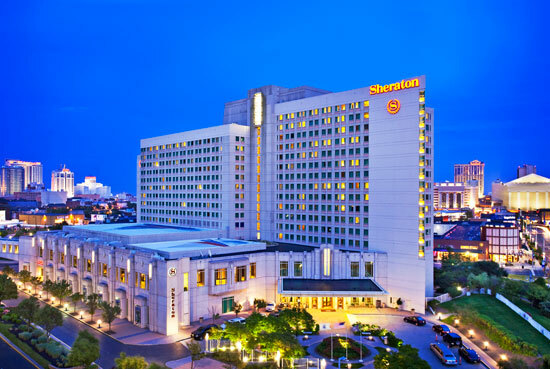 The Basketball Spotlight Atlantic City Showcase once again will be hosted by the beautiful Sheraton Hotel. The hotel sits right in the middle of the Atlantic City Shopping Outlet stores and has long been the place to stay in America's Playground. Make sure your register quickly for your room because they will be going quickly. The AC Showcase is lining up to be one of the best events of the year once again. Registration deadline is March 15th. Please don’t miss out on this event. It was lights, camera, action at the Clash For The Cup and Sammy Scott was ready for the stage. The dazzling floor general zipped through the defense while shaking anyone one in sight. His ball handling and wizardry lead Team Melo to the 6th Grade championship. He reminds me of former Basketball Spotlight great Jaecee “Mayweather’ Martin. Scott destroyed so many defenders that he earned his own nickname, Sammy Scott AKA “The Grim Reaper”. The 6th Grade division of the Clash For The Cup was filled with explosive players and great games. Here’s a look the Best of The Best and All Tournament Team. Rheubottom is a nice looking prospect and gets it done on both ends of the floor. His size and versatility plays a big part in his game. He will be one to watch for years to come. Sellers plays an all-around game and looks like he’s nowhere near done growing. His feel for the game and potential means he should a dangerous player down the road. There’s not many players that handle the rock and make plays like Scott. He’s a true showman and is worth the price of admission. He gives defenders fits when he has the rock. Mason plays the game with an old school flair. He paces himself well and knows how to keep his teammates involved. He’s a true leader. Remember this name because this kid could be something special down the road. His size alone causes problems and when he develops his offensive game he will be even tougher to deal with. Cruz gets buckets quickly and often. Physically he was just too much for the opposition. Once he got going he looked impossible to stop at times. Lemond showed he could play either guard spot while being able to score or run a team. He brings tremendous energy to floor each time he steps on it. The 7th Grade Division of the Clash For The Cup was well balanced across the board. There were close games and a wealth of talent. Here’s a look at the Best Of The Best and All Tournament Team. Lilly caught fire in the championship game by nailing five treys. He capped off a good weekend with sharp shooting against their fierce rivals. I think I have a good eye when determining a prospect and Traore definitely falls into this category. The lanky forward shows promise while even putting the rock on the floor. He could be a scary player down the road. Everyone knows Conway can score the rock and he didn’t disappoint in Neptune. He pumped over 25 point per game and did it against top notch competition. This kid scores like we breathe. Montague ability to alter or block shots is a big part of Thrill’s success. He allows the perimeter defenders to take chances especially in the passing lane. Hawkins let the region know that he’s here to play. He ran the show and was able to drop dimes to teammates. You also have to love his handle. Hall penetrating and attacking style puts enormous pressure on the defense. He returned this season with a big name and lived up to the billing. Stragalions made his Spotlight debut with the star studded USA Select. He proved to be very smooth on the wing. He was able to impress us all weekend and we look forward to seeing him again soon. Harrison’s ability to play either guard spot makes him a dangerous matchup. If he continues to grow things should only translate into high school. Williams put together a great weekend leading his team in scoring and rebounding well helping them capture the title. He definitely throw his name in the POY year race. We look forward to seeing more of him. I guess the cat is out the bag when it comes to this kid. The southpaw passes the look test and might be the next stud in the Team Final long list of prospects. Once he gets it all together he could be a dangerous youngster. Team Final made another final four run and much of that fell on the shoulders of Hoggard. The lead guard stepped up in a big way. Once again he got done scoring and setting up teammates. This was our first time noticing Timberlake and he impressed on both ends of the floor. The lefty excelled in the open floor and showed he could guard multiple positions. His presence is key to TTO success. Not only did Toles show once that he fly through the air but he also stepped up on the defensive end and continues to improve his jump shot. He’s beginning to demonstrate an all- around game. Ali plays good on the ball defense and doesn’t mind sacrificing his game for the betterment of the team. Many ball handlers don’t like seeing him line up on the other side of the ball. Stute’s team made it to the quarterfinals and he showed he stroke the rock with the best of them. He nailed 12 treys over the weekend which is tremendous. 8th Grader Noah Collier of Team Final impressed the crowd with a fast break dunk against Team Melo. Noah showed off a high motor all weekend and definitely one of the top players I seen play at the tournament. The Clash For The Cup 5th Grade Division had some good upcoming talent. We took notes on the top players and here’s our look at the top performers. Tobe Stephens (Enhanced Training Champions). Tobe was my very first strength and conditioning coach. I've been working out with him for two years now. He trains some of the top athletes like Victor Oladipo of the Orlando Magic (Team TTO too). Tobe helps work on my upper and lower body strength and endurance which helps me stay strong and play through contact. I work with Tobe twice a week for an hour. Coach Shivers (Shi's Skillville). I've been working out with Coach Shi for three years. He helps me with my shooting, ball handling, and combo moves. Coach has helped me get better with my step back shot and overall shooting. I work out with Coach Shi 1-2 times per week for 2.5 hours. 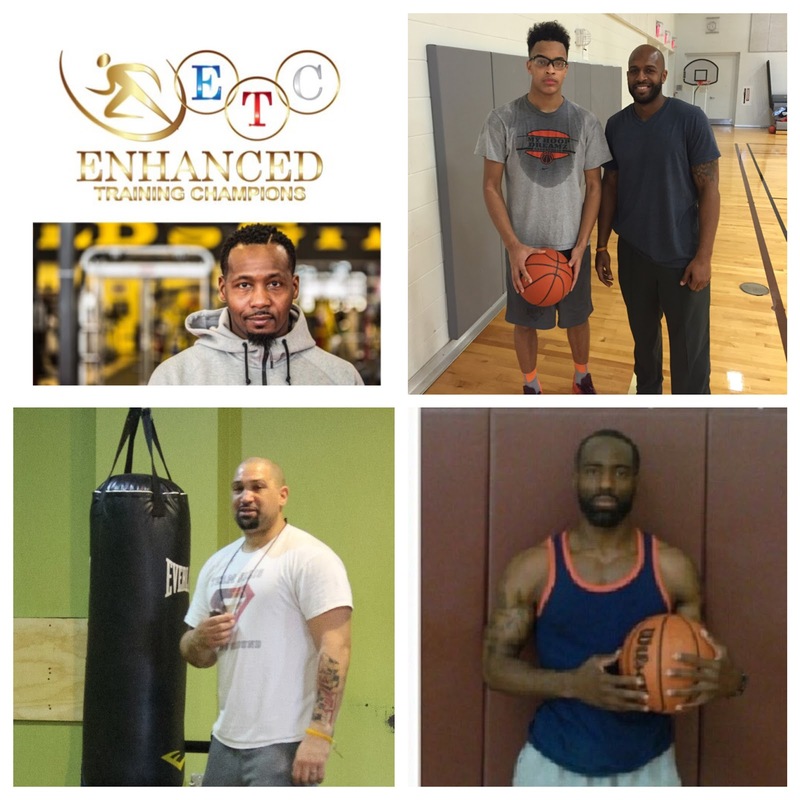 Dejuan Ellis (Dejuan Ellis Sports Performance). Dejuan helps me work on explosion and speed. I do a lot of resistance training with him which helps me jump higher and move quicker during games. I've been working out with Dejuan for about a year. I workout with Dejuan about once per week for 1.5 hours. Coach Leslie (BSI Basketball Training). Coach Leslie does a lot of fast paced movement, high intensity training while working on my skills. This workout keeps me in shape and helps me produce during the game. Coach Leslie has helped me work on my three point shot too. I work out with Coach Leslie once per week for about 2 hours. As you can see I put in a lot of work. Nothing has been given to me. I've worked and continue to work hard. My parents support me but realize that I have to do this on my own. It's like life...it's what you make of the opportunities you're given. 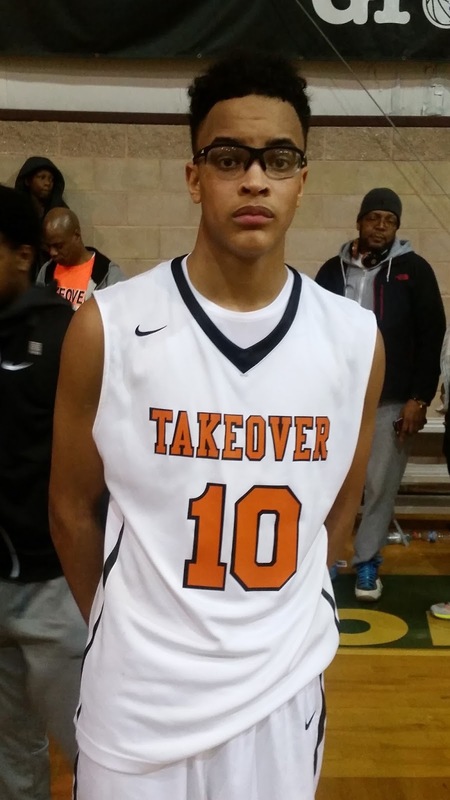 National prospect Terrence Williams of Team Takeover (MD) made things look easy at the 2016 Bballspotlight Clash For The Cup. Williams lead his team in scoring and rebounding to win the Clash For The Cup Championship over a very good Baltimore United. Williams continues to perform as one of the top forwards in the country. The Basketball Spotlight Clash For The Cup 6th Grade Division gave us a look into the future. Here’s a final look into this age group. 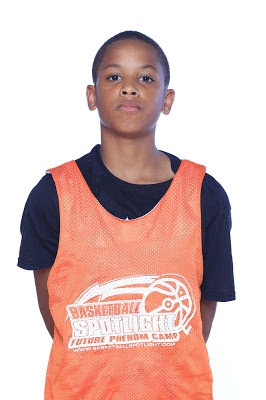 Zion Cruz Guard (Team IZOD) – Cruz is a very active wing guard. He is always in attack mode as he is looking to score that rock. He also is a good passer that excels in transition. Cruz can guard all 3 perimeter positions. He’s the ultimate scoring machine and he showed it when he scored a tournament high 30 points versus Team Future. Once he got going he appeared unstoppable at time. Sebastian Robinson Guard (Team IZOD) – Robinson can stroke the 3 ball and we also saw him finish with either hand on the fast break. He is also a good defender that takes pride locking up his defensive assignment. Joey Callari Forward (Team IZOD) – Callari has good size and he plays hard. Joey finishes well around the basket and he also can knock down a short jump shot. He competes for rebounds off the glass and runs the floor hard in transition. 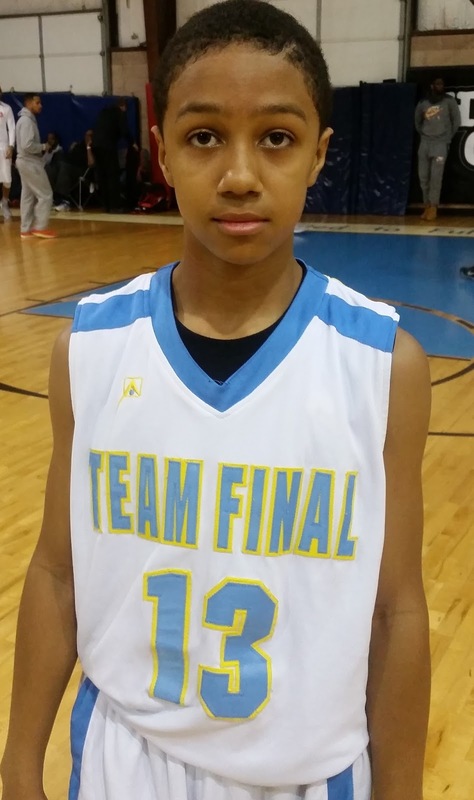 Argel Pettit Guard (Team Final) – Scouts now say that playing hard and having a motor is a skill. This kid was a joy to watch and was one of our favorite players all weekend because he did just that. On top of that he knows how to score the ball. He is a big wing guard that finishes well on the break, can knock down the 3 pointer and he also has a nice floater in the lane. One other thing I liked was that he wasn’t afraid to get on the floor for loose balls. He finished with 13 points in the game we watched. 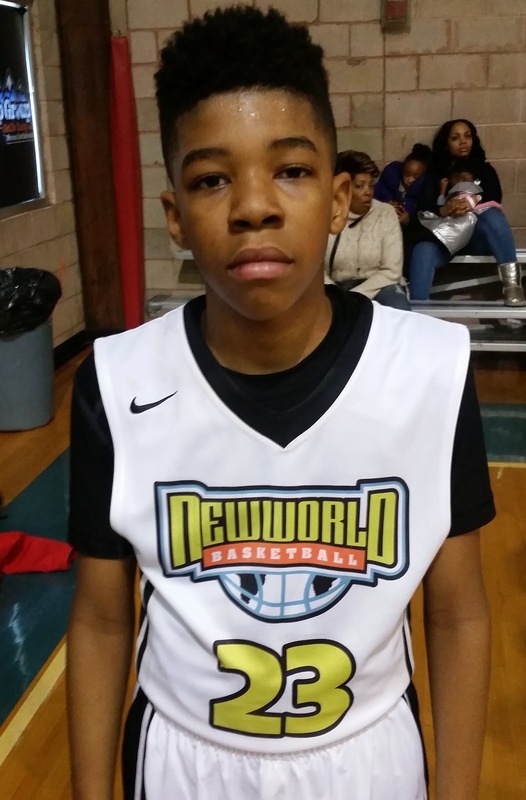 Chase Williams Guard (New World) – Chase is a combo scoring guard that is quick and athletic. He looks more comfortable off the ball but if needed he can run the point. Williams has range out to the 3pt line. Dylan Williamson Guard (New World) – Dylan is a strong wing guard that can do it all. He has a smooth game and he understands how to exploit matchups. He can take a smaller defender down in the paint and post him up or take a larger defender out in space on the perimeter and go to work. Williamson is a triple double threat every time he walks on the floor. He looked very comfortable playing in his coaches system. Wisdom Rodgers Forward (New World) – This big man with nice size holds down the paint for his squad. He rebounds well and understands his role on the team. If he continues to work in the gym on his offensive skillset Wisdom is a name we might be hearing for years to come. Nasir Muhammad Guard (NY Lightning) – Muhammad impressed us with his point guard skills. His handle allowed him through dribble through defenses and his court vision was superb. I liked his command of the game and the poise he showed running the show.